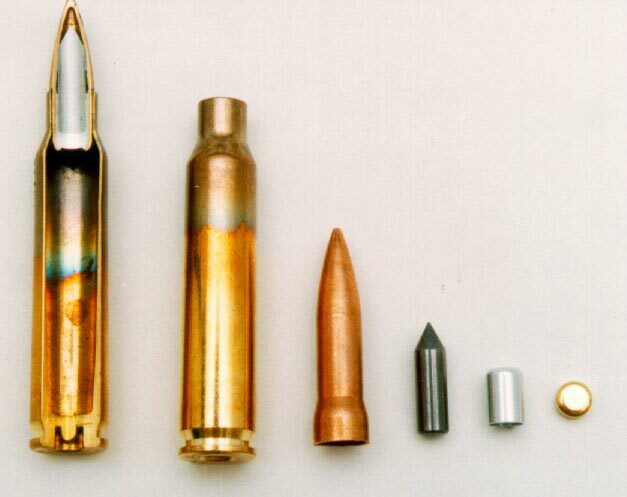 The M995 is a 5.56-mm Armor Piercing (AP) cartridge that provides an AP capability for the M16A2 rifle, the M4 carbine, and the Squad Automatic Weapon (SAW). 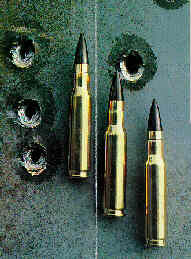 The M993 is a 7.62-mm AP cartridge which provides an AP capability for the M60 machine gun, and the M24 sniper rifle. 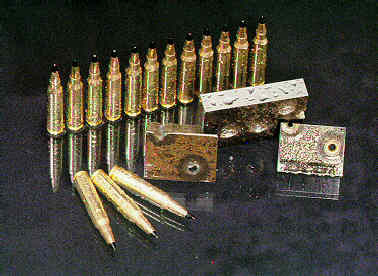 These cartridges were designed to augment the fielded version of the ammunition (M855 and M80), which employ a soft lead (or ball) projectile. 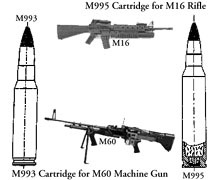 The M993 and M995 were initiated in 1992 as part of the Soldier Enhancement Program (SEP), and intended to give the soldier an added capability against armored threat vehicles. This capability will support the precision engagement and dominant maneuver force aspects of Joint Vision 2010. DOT&E activity for these programs involved Live Fire Test and Evaluation (LFT&E) only; no formal operational testing or oversight was involved. The combined LFT&E strategy for these two programs was approved by DOT&E in November 1996, and the detailed test plan (DTP) was approved in December 1996. 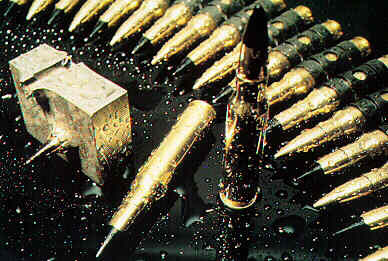 Previous developmental testing of these two cartridges focused on shots against simple range targets - not against an actual threat vehicle. By combining Joint Live Fire (JLF) assets, namely a BRDM-2 armored personnel carrier, with the Army's funded LFT&E program, a credible full-up systems level lethality live fire program was made possible. The LFT&E program was conducted in accordance with the approved LFT&E strategy from November 1996 to April 1997. In particular, the Army conducted dedicated live fire tests involving approximately 100 M995/M993 shots against the Russian BRDM-2 armored personnel carrier in April 1997. The armor perforation capability and the potential for crew incapacitation from behind armor effects were assessed. All testing has been completed and the Army's report to DOT&E has been completed. 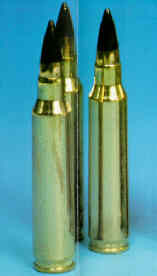 The M995 and M993 AP cartridges are required to have better penetration capability than the standard M855 and M80 ball rounds, especially improved capability to penetrate lightly armored vehicles at extended ranges. The primary intent is to improve incapacitation against troops within lightly armored vehicles. All available test data indicate that the M995 and M993 meet these requirements, and will be effective in a realistic combat environment. 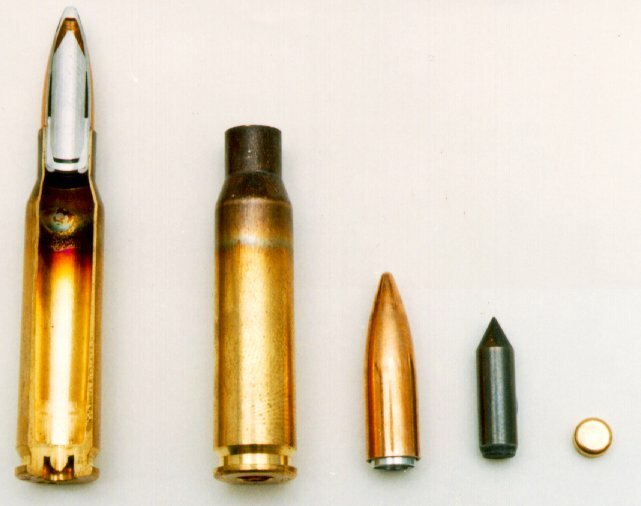 In the past, small arms lethality live fire programs have not used actual threat vehicles, but have relied on simple armor plates as the targets. In this program, an actual threat vehicle was used, and shown unequivocally that realistic small arms LFT&E can be accomplished using actual threat vehicles at a minimum cost. Had the testing been conducted using simple armor plate targets, it would have been more difficult to assess system performance against the expected threat.